The digital media company that enables consumers to enjoy a high-quality video experience across any kind of device, DivX, Inc., and Samsung have announced that the popular Samsung Omnia is the first DivX Certified mobile phone available in the United States of America, allowing the users to play back high-quality DivX video stored on Samsung Omnia’s 8GB built-in memory or on additional microSD flash memory cards. “By including DivX video decoding in the Samsung Omnia, we’re giving our users the high-quality technology they would expect from a mobile phone with an advanced feature set,” said Younghee Lee, Vice President of Marketing in Samsung’s Telecommunication Business. 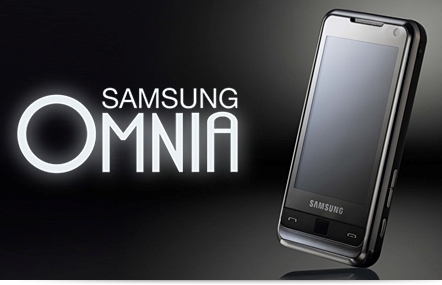 The new Samsung Omnia smartphone which features large 3.2-inch touch screen, Samsung’s TouchWiz user interface, 5 megapixel camera, full HTML browser, optical mouse and Windows Mobile 6.1 Professional OS is now available through Verizon Wireless for $249.99, after mail-in rebate and a two-year service agreement.